To improve the lives of individuals with Down syndrome through education and advocacy. To change the way you think about education for children with special needs. We embrace the whole child and will provide you and your family with endless opportunities for growth. We share our passion for working with children with special needs with our families. We are able to put into practice our years of experience working with children to foster a love of learning and astounding growth. Little Leaf Learning Center is all about partnerships. We partner with the child, the families and the schools. It is critical that we work cooperatively with all local school districts to provide students with special needs additional educational services to improve their learning potential. We also work with the schools to help set our students up for success in inclusive classrooms and an inclusive world. As a 501c3, Little Leaf Learning Center is dedicated to the success of individuals with Down syndrome. This commitment begins at birth and the partnership builds throughout the educational journey. What Is Little Leaf All About? 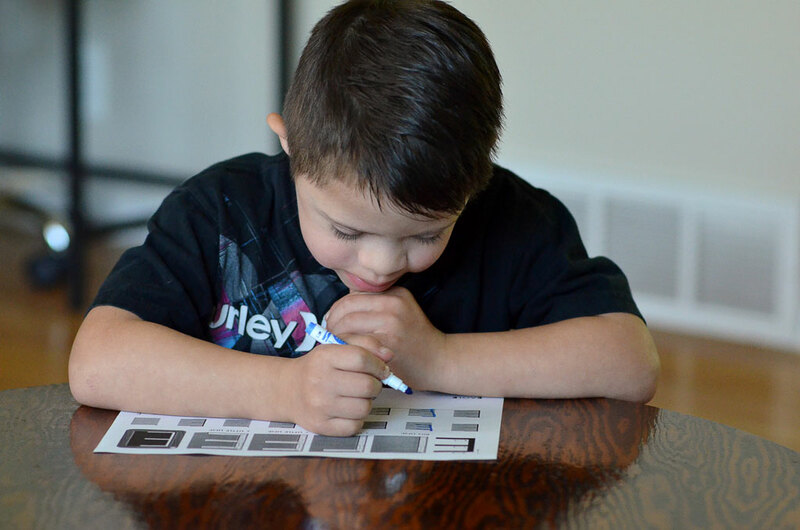 Beginning at 18 months, children with Down syndrome benefit greatly from early learning classes where research-based activities are implemented within a small-group setting. Classes are specifically designed to build language, cognitive abilities, motor skills, sensory experiences, and self-help skills simultaneously. Many children from the program are reading at grade-level before beginning Kindergarten. This strong reading foundation prepares students with Down syndrome to be successful throughout their educational endeavors. Initially, new parents are offered consultation services for infants with Down syndrome and given invaluable information in Mommy and Me classes. 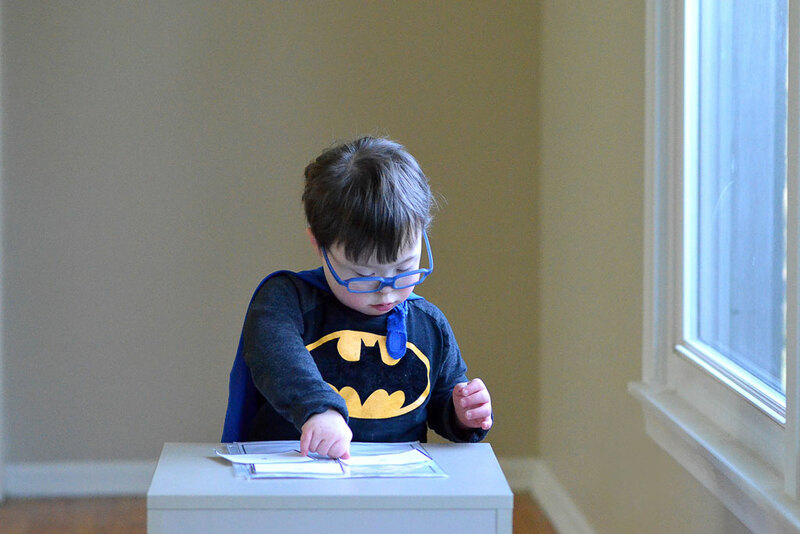 These classes introduce research-based methods of teaching children with Down syndrome, discuss proper feeding techniques, and provide networking opportunities. Monthly Saturday classes are an alternative option for students unable to attend early learning classes because of distance, schedule conflicts, or full capacity. Attendees receive training and resources to implement monthly curriculum at home. Occupational and speech therapies are available for both students and non-students. While students receive the beneficial option of therapy sessions integrated into their classroom setting, all individuals with Down syndrome can take advantage of specialized therapy at Little Leaf. Often times, students attending grade school and beyond continue to benefit from individualized instruction targeting specific education goals. Little Leaf offers tutoring services and helps families navigate any educational challenges they may face. This progressive relationship between Little Leaf and it’s students facilitates academic success and prepares the foundation for lifelong fulfillment. preparing them for a successful educational journey. Early learning classes are offered for children with Down syndrome between 18 months and 6 years of age. Classes offer strong peer motivation in a small class setting along with individualized instruction for each student. Every aspect of the class has been researched and specifically designed for individuals with Down syndrome. Little Leaf understands the relative strengths of it’s students and facilitates learning with visual supports and early reading skills. Early literacy abilities help children with Down syndrome overcome challenges with speech, language development, auditory perception and working memory function. By placing a strong emphasis on early reading skills, to support language skills Little Leaf gives students a strong foundation in all areas including math, writing, social skills, fine motor abilities, gross motor development, speech, and reading. Little Leaf’s approach prepares students for grade school and many students enter kindergarten at or above grade level requirements. The Early Learning Program is similar to the public school calendar with classes offered in the mornings for 4 hour blocks from 8:30-12:30 for $37 or in the afternoon for 2 hour increments for $18.50. Students are expected to schedule a minimum of 4 hours per week. Tuition includes teacher instruction, cohesive planning with child’s educators and therapists, and individualized resources. Each student receives a personalized binder with monthly curriculum, supportive resources, and homework. Monthly Mommy and Me classes are designed for children 0-18 months and their parent(s). Classes will demonstrate research-based methods for educating babies with Down syndrome and provide resources for implementation at home. Since feeding issues are common and often undiagnosed, proper feeding techniques and oral motor exercises will be introduced and regularly discussed. In addition to the invaluable information provided by Little Leaf’s teachers, parents benefit from networking with one another. Tutoring services, Occupational Therapy, and Speech therapy are available to school-aged children who will benefit from individualized instruction on the topics covered at school. Student IEPs are analyzed and challenges are addressed with Little Leaf’s knowledgeable teachers and research-based interventions. Specialized occupational and speech therapists are also available during the after school program to help students further develop their skills. Since therapists work closely with Little Leaf instructors, students receive the benefits of an interdisciplinary team specializing in Down syndrome. Saturday classes are offered for children for with Down syndrome between 18 months and 6 years of age. A Little Leaf educator offers a short parent presentation and review of the monthly curriculum. The remaining class time is used for student instruction where parents are able to see implementation of the learning materials. Each student receives a personalized binder with supportive resources and homework designed to maximize the impact of the limited class time. Little Leaf’s Occupational Therapists are hand selected and provided an expansive compilation of Down syndrome research and training. The therapy team thoroughly understands the issues commonly affecting individuals with Down syndrome so they can proactively address potential concerns with fine motor, oral motor, feeding, sensory integration, visual tracking and visual integration. Additionally, therapy will focus on improving attention, memory, and problem solving capabilities. Occupational therapy can be an integral part of helping students reach their maximum potential so services are conveniently offered during class time or evening hours. Most insurance plans are accepted to make Little Leaf therapy services an affordable benefit for families. 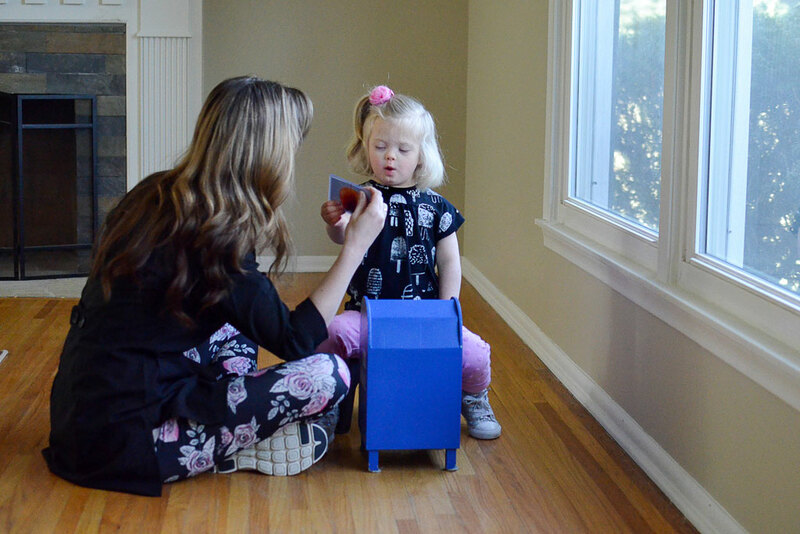 Little Leaf understands that speech intelligibility is a leading concern for individuals with Down syndrome so speech therapists have been employed as an important part of Little Leaf’s interdisciplinary approach to language development. Each therapist is trained to recognize and treat speech issues including speech clarity, language building, sign language, sound differentiation, oral motor, and feeding. Therapy services are offered during Little Leaf classes so students benefit from an integrated education model. Afternoon and evening appointments are also available to the public. Little Leaf accepts most insurance plans, making therapy an affordable benefit. See and Learn, Kauffman Speech to Language Protocol, Talk Tools, Dinocave Kids, Read it Once Again, Imitation Station, The Learning Program from Down syndrome Foundation of Orange County, Rethink behavioral health an ABA platform that can be tailored to the individual needs of students, Reading Master, Handwriting Without Tears, Numicon. Lisa Williams graduated from Newman University in 2004 with a Bachelor’s Degree in Education. She has always had a passion for working with children and that dedication earned her several awards in college, including the Outstanding Teacher Award. While parenting 4 children, Lisa gained experience teaching 1st grade, 6th grade and preschool until she enthusiastically became a teacher at Little Leaf. After discovering her love for teaching children with Down syndrome, she has built considerable expertise with Handwriting Without Tears, Talk Tools, and understanding the learning profile of individuals with Down syndrome. 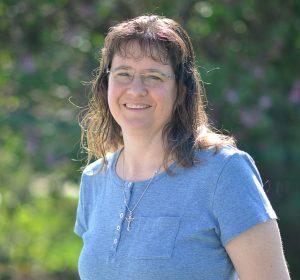 Lisa is currently striving for a degree in Occupational Therapy so she can utilize her knowledge and training to further benefit Little Leaf students. 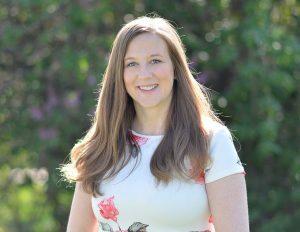 Inga Reischl is a licensed Speech and Language Pathologist with a passion for helping children with Down syndrome address their unique challenges with feeding, swallowing, and speech. 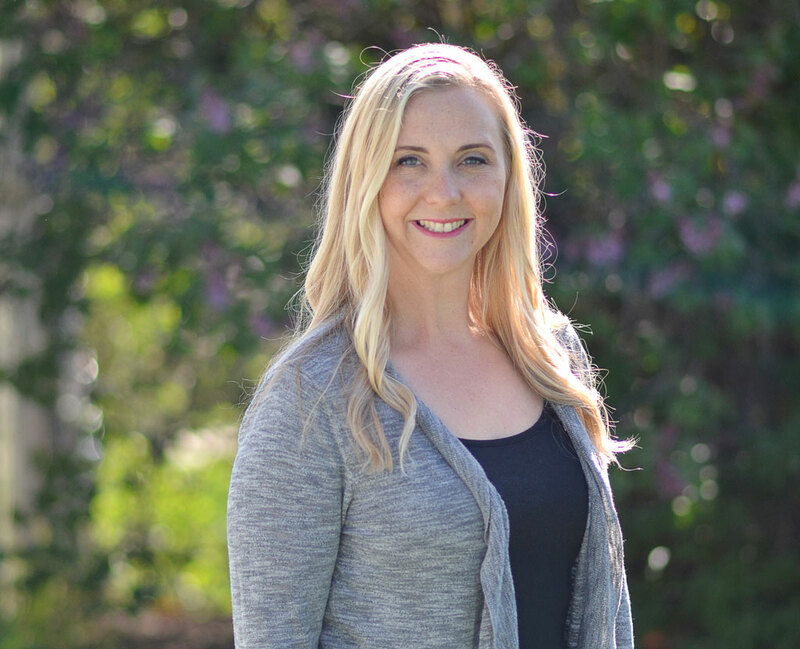 Inga graduated from the University of Nebraska at Kearney with a Masters Degree in Communication Disorders and has experience in schools, hospitals, skilled nursing facilities, and home health. After a good friend had a baby with Down syndrome, Inga shifted her focus to children with Down syndrome. She has received Vital Stim Certification and Talk Tool Training to become a sophisticated resource for Little Leaf students. Kim Brown is a licensed Occupational Therapist with over 13 years experience helping patients achieve their greatest potential. 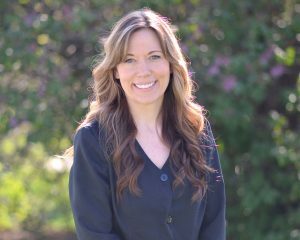 She earned her Bachelor’s of Science from Creighton University and continually pursues additional education and training opportunities. As a mother of four children, she has fine-tuned her patience, communication skills, and problem solving. Her strong technical abilities and vast experience make Kim an asset for the children with Down syndrome that she serves. We are so thankful for the opportunity to serve these families. Thank you so much for your support of Little Leaf Learning Center. Our son, Nathan, has Down Syndrome and is 5 years old. He has been going to Little Leaf for a year and a half. We had tried getting OT, PT and speech for him, but our insurance denied the claims that were pre-approved leaving us with a very large bill. We felt our son needed more services than the public school could provide. We felt so lucky to find Little Leaf. When Nate started he could only make a few sounds and some grunt noises. After months of working with the staff at Little Leaf, he can say several words and can even read! We know that with their continued support he will be ready for kindergarten. Thank you again for your support in helping to make this possible for our son. My husband, Vince and I want to take the time to personally thank all of you who have generously given your time and services to Little Leaf! 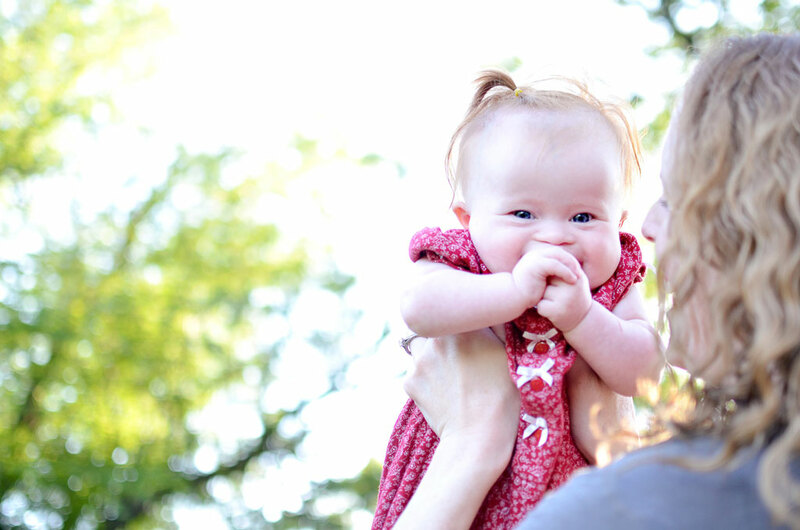 Our daughter, Tessa, who has Down Syndrome, has attended Little Leaf since the beginning of last summer. During that time she has grown leaps and bounds! I am amazed every day when she comes home at what she is signing or doing. Without Little Leaf I truly do not think she would be where she is today. Kim and Lisa do a wonderful job with these children with special needs. My husband and I are so thankful we are able to send her to a facility so loving and so dedicated to helping her! So a huge THANK YOU to all of you who have helped Little Leaf be so successful! Thank you for providing such a warm place for Jack and Annie and all their friends to grow in. They have been surrounded by love ever since they were born and your family has cared for them. We think about Jack and Annie all day long, but always know they are having fun and learning in your good hands. We appreciate the energy and positive environment everyone brings to Little Leaf. You are all irreplaceable–thank you again. We have seen so much growth with our children, but we want to do more. Little Leaf Learning Center is a 501(c)3 organization dedicated to providing quality educational experiences for students. Tuition does not cover all the costs of running the programs which are kept at affordable rates for families. For Little Leaf Learning Center to maintain such small student-to-adult ratios and to continue to provide such a high quality educational experience for our students, we need your help. Little Leaf started with two preschoolers in an extra room in Kim’s house. We currently serve over 30 students! Little Leaf is able to cover some of the Early Learning Program’s costs through private pay but relies heavily on donations to cover operating expenses, training, research studies, new curriculum, and materials. Little Leaf is also getting ready to expand our services through new outreach opportunities to help more students learn. Little Leaf is always looking for volunteers and committee members. If you are interested in helping please contact Kim at 402-515-7234.